In our 7th edition of the monthly Chef's Table, Brice Caro, Executive Chef at Novotel Yangon Max shares his inspiration to become a chef and much more. Chef Brice brings over 25 years of culinary experience to Novotel Yangon Max. His previous assignments also include Rixos Hotels in Kazakhstan, Sheraton Hotel Djibouti and Sofitel Jinan Silver Plaza. I’m French and I grew up in a family where we love food. My grandparents were fine chefs so I learned early to appreciate good food. Later, I decided to become a chef, first because I wanted to keep enjoying nice food and great products. Then I quickly realized how nice it is to cook for other people and to make them enjoy your food. As a chef, I got the great opportunity to learn from one of the best chef in south of France. I was trained in “Petit Nice Passedat” a multi Michelin stars awarded restaurant in my home town. Then, I moved to one other great restaurant “l’ousteau de Beaumaniere” also multi awarded by the famous Michelin guide. In those restaurants, I learned the importance of the products and the respect for them. A chef’s main task is to sublimate the product without denature them. I also learned the rigor and the perseverance there. To be honest, the first challenge I had to face was myself. All chefs are the same: we believe that what we are doing and the way we are doing it is the best way. 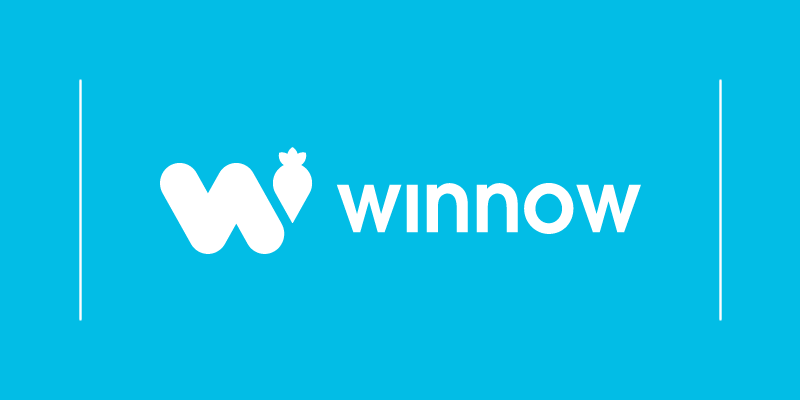 Winnow helps chefs realize that we are able to improve our efficiency, save product and production time by using this tool. Winnow is a big help. At the beginning it made us realize the quantity of food we used to trash on a daily basis. Then with the support of the daily report, we analyzed and finally adjusted our production according to our real needs. After the first Winnow report, we started to think what would be the best way to reduce our wastage without “running short” during service time. Winnow records our wastage according to our number of guests, so after a few tries we finally arrived to a better ratio food / guests. How do you think technology will have an impact upon how customers engage with the stories of the food, the chef and the restaurant? Hopefully technology will help for the good of all realize that food is important and we should not waste it. I used to buy a lot of culinary books and magazines, now I read more online. It’s a fantastic way to keep updated on what’s happening everywhere. The future in the kitchen, at least here in Myanmar, ideally will focus more on local product. Now we have to import most of the product at high cost (money and carbon). The goal would be to get high quality local production here to develop the local businesses. Buy product wisely. Plan in advance by what you need, in the quantity you need. Most of us used to purchase many products we don’t need and we forget them in the bottom of our fridge. 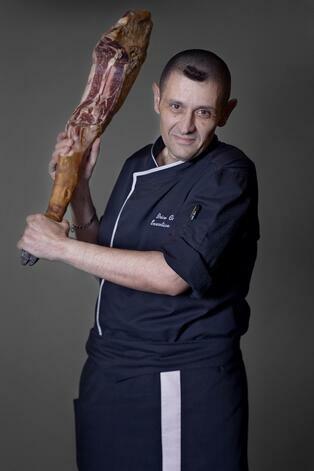 The one I consider as my mentor is Chef Laurent Chouviat. He is the one who really challenged me after my apprenticeship. He pushed me to become a better chef and he used to make my life much more challenging. But now when I go back to France I always try to pass by and say hello to him. I owe him a lot. One of my best memory, maybe because I was young, and it was the first time I experienced this kind of restaurant… it was at “Bruno” restaurant at Lorgues, south of France. It is specialized in Foie gras and truffle. The food was simple but tasteful and full of generosity. Since then I tried many other better restaurants but for me it was my first time, so it remain special to me. Any of my mom recipes, they are full of emotions and memories. Recently I had the opportunity to have dinner at my friend’s newly open restaurant. The food was fantastic. The restaurant name is “the Sühring” in Bangkok. Thomas and Mathias Sühring are really talented chefs!